Jesus told His own disciples to go and make disciples of all nations, so why don’t you find much on discipleship taught in churches today? For a long time in my walk with Christ, I was living out the “great omission,” which I jokingly call it, but it’s no joke to ignore an imperative command from our Lord and Master, Jesus Christ. Prior to His ascension back to heaven, to be seated at the right hand of the Father, He gave the disciples their marching orders. The disciples would be equipped and empowered with the Holy Spirit (Acts 1:8, 2:1-3), and given the direct authority of Jesus Christ. Jesus told the disciples, and I believe He is telling us, “All authority in heaven and on earth has been given to me. Go therefore and make disciples of all nations, baptizing them in the name of the Father and of the Son and of the Holy Spirit, teaching them to observe all that I have commanded you. And behold, I am with you always, to the end of the age” (Matt 28:18-20). For the disciples, the authority given by Jesus Christ Himself superseded the authority given by man, and because He is the Head of the Church, He can delegate the administration of His church through chosen instruments of His. Jesus tells them (and us) to go and “make disciples of all nations,” and after the new disciples are baptized in water, they are to be taught what Jesus taught His disciples, but there’s a more meaningful thing here Jesus is talking about, and it’s more than just about water baptism. Jesus is referring to being baptized “into” the Father, the Son, and the Holy Spirit, which in the context means to be identified with the Father, the Son, and the Holy Spirit. After God uses us as a means to make more disciples, we are to “teach them to observe all that [Jesus] commanded” them. This order goes all the way to “the end of the age,” so it would appear that the Great Commission will only end at Christ’s return, but more likely Jesus is reassuring them that He will be with them in His Spirit all the way to the end. Until then, we keep “going” and making disciples as God draws them to Himself through Christ (John 6:44), and teach them what Jesus taught His disciples (which is found in the New Testament). We keep “going” until the day of His glorious return, or until God takes us home. The job description of a disciple is to make more disciples, but of course, God brings the increase (Acts 2:47). At the most basic level, a disciple is a student or learner, and class is never over, and you only graduate at death or at Christ’s return, so when I speak about the cost of discipleship, I’m not talking about the cost of printing copies, or buying Bible studies, but rather what it costs us in relationships and time and effort. It involves shifting out of our way, and following “The Way” (John 14:6), or following Christ, and most of you already know, it takes us out of our comfort zone. When a rich young man came up to Jesus to ask Him how he might receive eternal life, Jesus told him about the commandments, (Matt 19:7-9), but when the young rich man boasted of his keeping them, Jesus said, “If you would be perfect, go, sell what you possess and give to the poor, and you will have treasure in heaven; and come, follow me.” When the young man heard this he went away sorrowful, for he had great possessions” (Matt 19:21-23). The disciples where astonished because most of the religious leaders had wealth, so the disciples asked, “Who then can be saved?” But Jesus looked at them and said, “With man this is impossible, but with God all things are possible” (Matt 19:25-26). It was in this context that the Apostle Peter said, “See, we have left everything and followed you. What then will we have” (Matt 19:27). That was part of the high cost of following Jesus. They had to forsake all to follow Him. They showed their true discipleship by leaving “everything and” following Jesus. Dietrich Bonhoeffer wrote a book on the cost of being a disciple, and then almost prophetically lived that out in a Nazi prison camp. Ultimately, it cost Bonhoeffer his life, but that’s because he truly desired to be a disciple of Christ, and by his life, proved that he was. He did what Paul did, and entered into the sufferings of Christ. Paul says, that’s what He desired in order “that I may know him and the power of his resurrection, and may share his sufferings, becoming like him in his death” (Phil 3:10), and that’s exactly what he found. Bonhoeffer wrote, “When Christ calls a man, he bids him come and die.” For him, it was a literal death, but for the vast majority of us, it won’t be a matter of death, but dying to our own selves. That means we must kill our will and take up the Father’s will, because we know that whatever the will of the Father is, it is the will of Christ. We cannot take our hand off the plow or we’re not fit for the kingdom. If we are like Lot’s wife and look back, it could prove costly. I know a couple who travel 70 miles to church, while those in a nearby church have people living five minutes away, and they “can’t make it today.” We must all ask ourselves; “Is Jesus really most precious to us?” Do we forsake all and take up our cross to follow Him? We know what it means to follow Christ from Scripture (Matt 25:40), so it’s not a mystery to solve, but good works to walk in which God has appointed for us to walk in (Eph 2:10). A good description of Jesus’ body working is found in Matthew 25:35-36 and 28:18-20, and James 1:27. If you do things for Jesus, you are being His disciple because you are doing things “to” Jesus (Matt 25:40). That’s “to” Jesus and not just “for” Jesus. Both are true, but one’s relational. Why isn’t discipleship taught in most churches? I don’t know why. It’s in the Bible, so we have no excuse. Most of us probably can’t go into all the world, but that doesn’t mean we can’t at least go next door, or at work, or anywhere people are. A good snapshot of what discipling others looks like was “When they had preached the gospel to that city and had made many disciples, they returned to Lystra and to Iconium and to Antioch” (Acts 14:21). It is a never ending process. It’s like the mustard seed that starts small, but keeps growing and growing, but this is more than a mustard tree. It is the Kingdom of God, and we know from Scripture, that concerning the kingdom of God, and the King of that kingdom, “Of the increase of his government and of peace there will be no end” (Isaiah 9:7). 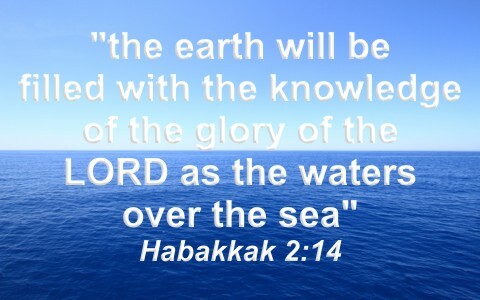 That kingdom is increasing as you read this, ever outward, and someday, “the earth will be filled with the knowledge of the glory of the LORD as the waters cover the sea” (Hab 2:14). Read more on this topic: What is Discipleship? Pulpits are FULL of greedy, tithe-begging, biblically ignorant, lazy hirelings, false prophets, wolves in sheep’s clothing whom, sadly, are “self-called.” They refuse to study, and the so-called bibles that they use (Bible commentaries, rather) such as ESV, NIV, and the rest of the Alphabet Soup varieties of commentaries that are churned out by the thousands every year, which just aren’t the true inspired Word of God and just does not adequately equip them to preach or teach the Word of God. EASY READ, they say. PITIFUL! Hello JD. Not all pulpits are full of greedy, tithe=begging churches…your assessment of churches is very harsh. I work without a salary, so in many cases, you are wrong. The ESV is a good translation and has fewer errors than the King James, so please try to respond more specifically to “some churches” and not churches since you are judging all churches to be this way and they are not. The seed falls on both good and bad ground,and occasionally on ground that needs a little tilling. Previous post: Who Are The Principal Patriarchs in the Bible? Next post: What Is The Book Of Enoch? Does It Belong In The Bible?